One thing about beauty companies that really draws me in is attention to detail. 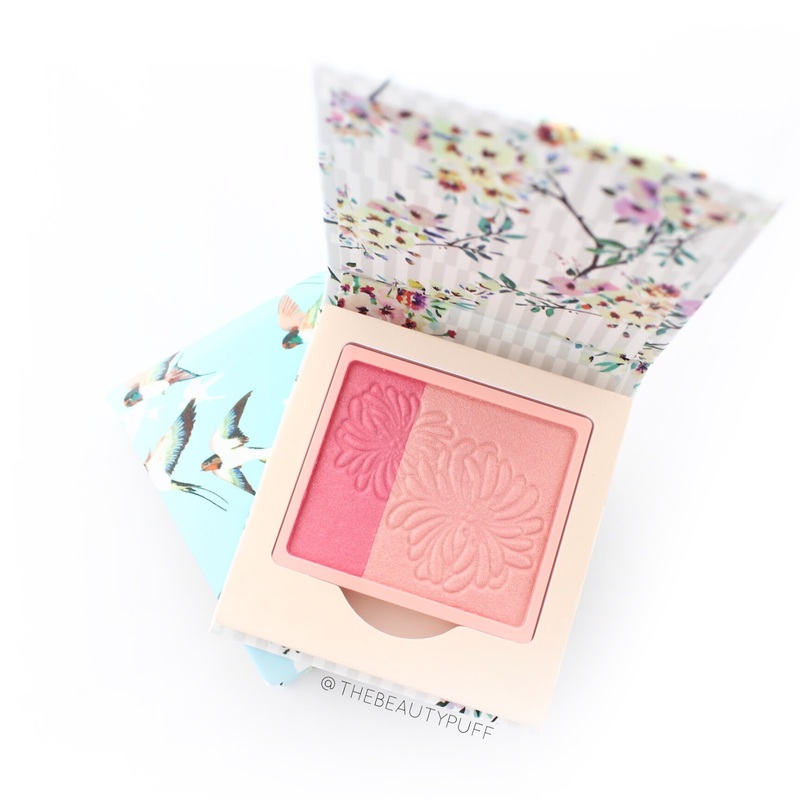 The Paul and Joe Beaute line is comprised of beautiful products that are packaged in the sweetest way. The eyeshadows and blushes can be placed in individualized compacts (sold separately) depending on your taste. You can switch them out or keep certain products in coordinating packaging to keep things organized. The lip glosses are versatile and packaged in the most adorable tubes I've ever seen. The entire line is not only fun to look at but contains gorgeous everyday colors that can take you through any season. 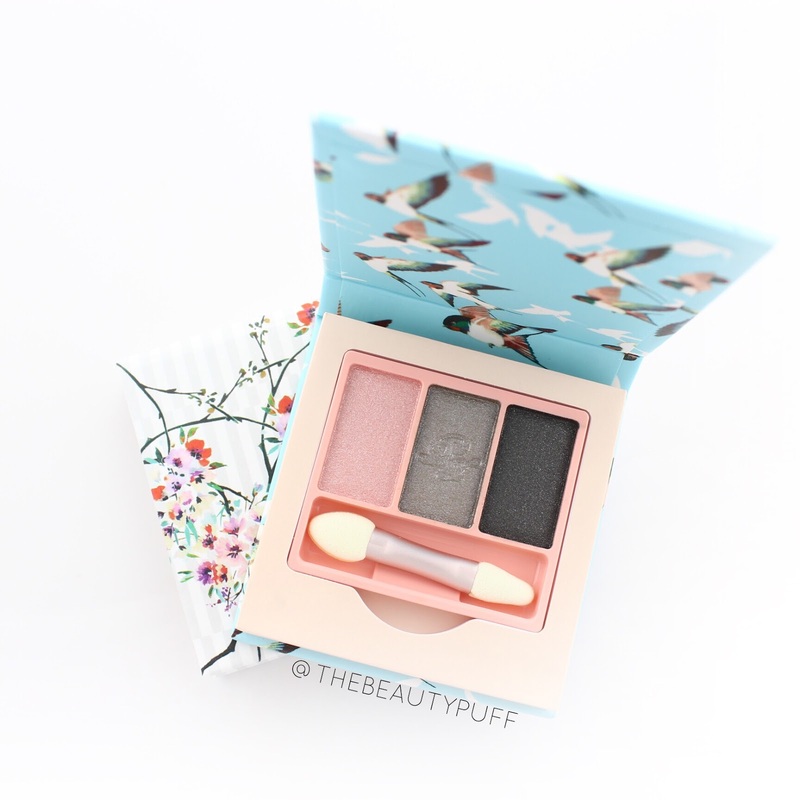 If you love simple, well thought out eyeshadow trios, you'll love these color combinations. The first two eyeshadow trios I have are 001 Mon Prince (R) and 003 Mon Coeur (L). They're both well-suited to everyday looks this time of year. I actually gravitated more toward the pink shades in Mon Coeur than I thought I would! The lightest shade is really flattering and brightening on the lid without looking too frosty. The other shades pair perfectly whether in the crease or outer corner. Mon Prince is a more neutral combination that I've gotten a ton of use out of. It's what I call a "no fuss" trio that's been my go-to on days I need to run quick errands or just get out of the house promptly! The pigmentation is great with all the Paul and Joe trios, you really can't go wrong. The last eyeshadow trio I have is 002 Mon Nounours. This cool-toned combination is stunning for a night out, though I've definitely worn this during the day and I absolutely love it. One of my favorite things to do lately is put a darker shadow on my lower lashline instead of mascara. I get definition without it looking too heavy. The darker shades in this trio have been perfect defining shades and are really flattering no matter what your eye color. 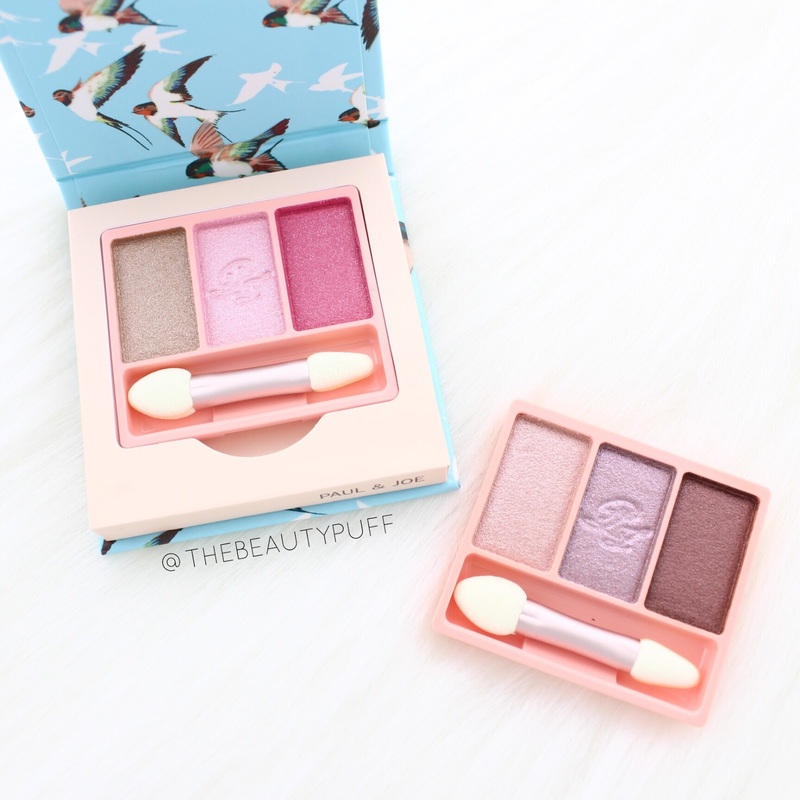 The eyeshadows aren't the only thing in this collection that are eye-catching! 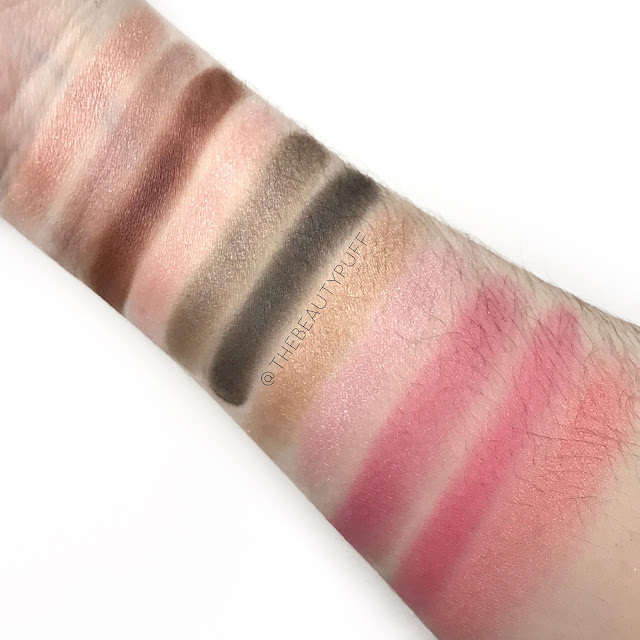 I love the blush duos with their complimentary shades so you can combine them or use them individually for a unique look every time. These blushes are really pigmented so a light hand is a must! Or in my case, as you may have guessed, I gravitate toward a duo fiber brush. This particular shade, 002 Mon Lapin, has been ideal for spring to give my cheeks a flirty, pink flush. My favorite lip products have to be glosses... and versatile ones at that. Both of these beauties fit that bill with their flattering tint. Paul and Joe Tinted Lip Glosses come in two varieties, 001 Musing and and 002 Figment. Musing goes on like a clear gloss and transforms into a flattering, shiny pink on the lips. Figment does the same but with a hint of beautiful sparkle. I've used lip products that turn pink in the past and I have to say they haven't been the most flattering. These actually give a really nice hue to my lips without looking like I just had a cherry popsicle (not my kind of look!). I know that whichever gloss I grab out of my purse will be easy to apply, flattering and no fuss for everyday. Plus, they're adorable right?? Paul and Joe eyeshadows and blushes are sold individually and can be placed in custom compacts of your choosing. They make beautiful gifts for any occasion. Everything mentioned in this post is Limited Edition so check out the entire collection below and refresh your summer beauty wardrobe!